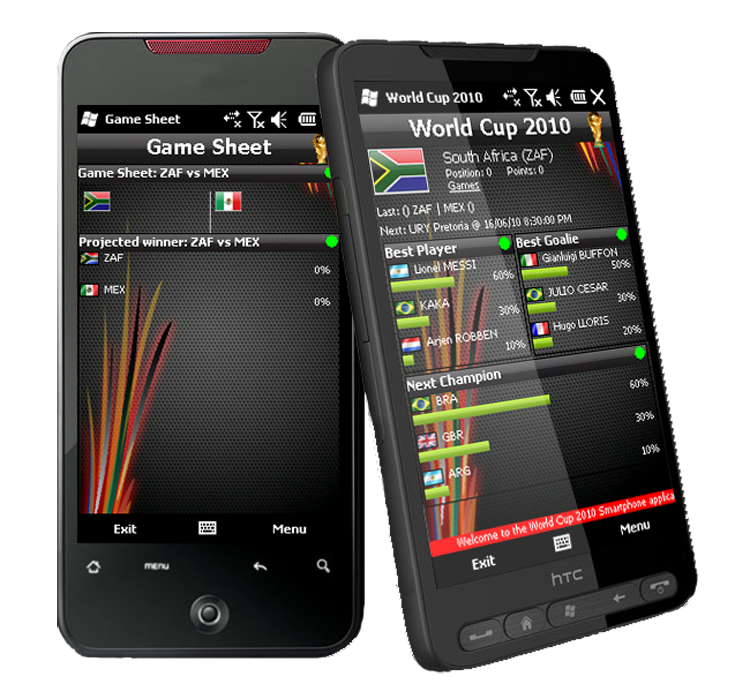 World Cup 2010 will give users the opportunity to get their latest live results from South Africa. Youll be able to cast your vote on any games or teams. Choose your favorite team and see their progression. From the schedule form you can jump to the team or game sheet. Also you will be able to blog your thoughts and share your comments. More comments, more fun it will be for the entire community. The latest news from the FIFA World Cup 2010 will be push to your device. The soccer fans or football fans will sure enjoy this great little application.